Tunnel Boring Machine Slurry System of Kosun with more than 20 years experience. In soft grounds with pressure less than 7bar, earth pressure balance machines are used. These along with cutting head also comprises tungsten carbide disc cutters, cutting bits and hard disk cutters. Machine derives its name from the fact that it balances the pressure in tunnel head by use of excavated earth. Rate of excavation and advances through Archimedes screw controls pressure in the cutterhead. Some additives like bentonite may have to be injected to increase the stability. These are also added to make sure that the earth is sufficiently attached to the Archimedes screw thus marinating the pressure in the head and prevent seepage of water in the tunnel. Slurry shield TMBs are used in cases where the ground is so granular in nature that it cannot form plug in Archimedes screw. The cutting head is feeded with slurry which in turn applies pressure. This even acts as transporting medium as it mixes with excavated earth and is being pumped out in slurry separation units usually located out of tunnel. In this separation unit slurry is processed so that it is recycled and can be used again. This filtration is a multi- staged process. However, filtration of slurry depends on the size of excavated particles. Thus making this slurry shield tunnel boring machine separation units suit able for clays and silts sized particles as they are smaller than bentonite particle, which makes the slurry. In these instances separation with water can be done which will help form clay cake thus filtering the slurry in the end. In grounds where the excavated tunnels can stand without support for a little period, open face TMBs can be used. These tunnel boring machine separators are generally used where strength is more than 10Mpa and seepage of water is low. Cross sections of sizes up to 10 meters can excavated with these TMBs. Cutter head excavates within 150mm of the shield edge. This shield is moved forwards and cut the ground in same circular manner. Pre-casted concretes or graphite iron segments provide ground support. The key spreads the rings until it is tightly fitted against the tunnel made by tunnel boring machine separators shields. Open face TMBs comes in many variations. Tunnel Boring Machine Slurry Separation System is the role of the shield of sand formed by the formation of sludge for particle separation and treatment, and then the recovery of mud into the adjustment tank. 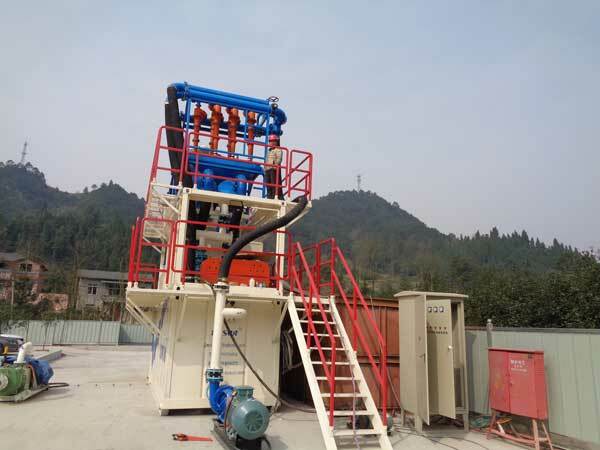 In general, in the shield of the mud separation system using shaker as a primary separation is more appropriate, the role of the vibrating screen is the pretreatment of mud, remove the ball and block and other coarse particles. TBM Slurry Separation System in Sweep Slurry Separation System. As long as the function is to refine the fine granules after further separation, the sludge particle size is reduced, and the TBM Mud system is generally treated with multi-stage cyclone. The working principle of the cyclone in the shield mud-water separation system is based on the centrifugal force generated by the high-speed rotation of the hydrodynamic force. The cyclone pump causes the cyclone to generate negative pressure during the rotation, forcing the fine particles suspended in the cyclone. Through the centrifugal effect of a spiral rise, through the overflow was negative pressure extrusion, coarse particles in the slurry under the action of their own gravity into the underflow to the pulp tank. TBM Slurry System in the different diameter and diameter ratio and different working pressure, will play a different treatment effect. 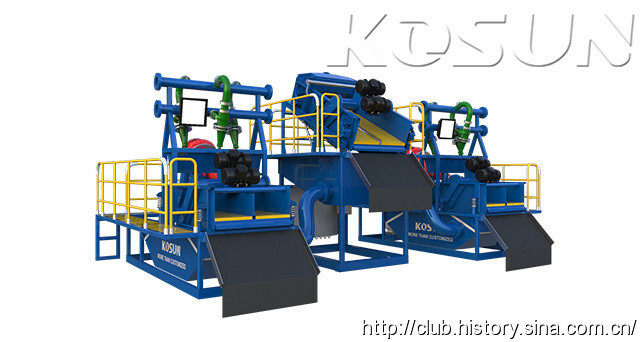 Kosun is an international brand with extensive experience in solid control and drilling waste management equipment manufacturers and is also engaged in related global services. Kosun always adhere to product upgrades and technological innovation to win the market, determined to seize the requirements of customers in the industry enjoyed a high reputation . TBM Slurry Separation System of Kosun is very popular by clients at home and abroad owning to its high quality and best after service sales. Welcome to contact us if you need any help. Tunnel boring machine slurry system has a good effect on the mud produced in the shield construction. KD series TBM slurry system is the module system structure. Tunnel boring machine slurry system is designed to handle the various muds used in common shield construction techniques.It is advisable to check and measure the performance of tunnel boring machine separations they are brought into use. These are important to know the penetrations and also the cutter cost. – Intact rock property like the tensile strength of the rock and uniaxial compressive strength. – Property of rock mass- in cases of foliated or bedded ground, direction of foliation guides the performance of tunnel boring machine separations. – Cutter geometry- cutter on the cutter head of the machine transmit the energy generated by the engine into the earth causing fragmentation. Thus it is important that the shape and angle of the cutter is adjusted so that adequate amount of energy is transferred and desirable penetration is attained in the ground. Performance of tunnel boring machine separation system can be calculated based on the voltage provided by the mine power distribution system. A basic computer load flow program is used to calculate the voltage. Calculated voltage and measured voltages are then compared. Torque output is calculated with help this voltage input. Curve of speed horsepower versus current is drawn and compared to motor test data. This results are then used to make adjustments in simplified motor model. With these information a torque verse distance curve can be made which will help to summarize the tunnel boring machine separations performance. By this way, the effects of the change in transformer taps, source of voltage, cable size and various other factors can be evaluated. Penetration and advancement rates are essential to evaluate the performance of the TBM slurry separation system . Penetration rate is excavated distance during the excavation phase divided by the time. Advancement rate is the actual excavating distance to the total time which also accounts the total downtime of the machine maintenance, failure of the tunnel and machine breakdown. Tunnel Boring Machine Slurry Separation System through muddy water pressure balance model not only can effectively use the mud to stabilize the excavation surface strata, but also prevent the collapse at the same time, through the mud wall formed by the effective prevention of gushing water, and through the simultaneous grouting can be very Good control of the surface subsidence and to avoid the occurrence of segment leakage, which can ensure that the ground environment, ground buildings from the impact of tunnel construction. Tunnel Boring Machine Slurry Separation System on the shield of environmental protection in the construction of mud treatment has a very important role. On hard grounds or rocky grounds two types of TBMs are used. Open type TBMs or Shielded tunnel boring machine separator. Excavation of hard rock is carried out by disc cutter fitted in cutter head of TBMs. These generate compressive stress that leads to crackers or fractures in the earth. This excavated earth or rock is called muck, which is passed through holes between the cutter head to the conveyor belt and then is exited out of the machine. Open type tunnel boring machine separator do not have any shield, thus the area behind the head depends on rock for support. Gripper system helps the machine to advance forward. But not every machine can move continuously with the help of gripper like the Wirth machine, in such cases the machine moves ahead with help of thrust gained against grippers. Open type tunnel boring machine separator do not excrete cement segment behind them like other machines. The tunnel rock is supported by rings beams, shot rete, steel straps, rock bolts, ring steel, etc. In cases where rocks are prone to fracture shielded hard rock tunnel boring machine separator are used. These unlike open type excrete concrete segments which support the fractured unstable parts of the tunnel. There are two modes in double shield tunnel boring machine separator. These use the tunnel walls for grip in stable conditions to move ahead. In fractured rock cases, the thrust of the gripper is used to move forward. This prevents the thrust forces damaging the already fragile walls of the tunnel. Same method is followed by single shield tunnel boring machine separator but can be useful only in fractured ground cases because the move ahead only after being pushed by the segments of concrete excreted behind in the tunnel. As the leading solution provider of TBM separation (tunnel boring machine separation units), Kosun has served more than 120+ clients from around the world in TBM related project. For the unknown factors that can affect the tunneling advance rate, the contractor must have adequate separation equipment to allow the contractor to move forward at an unimpeded rate when the tunneling conditions are favorable. The Tunnel Boring Machine Separation units (or Tunnel Boring Machine Separation stations, Tunnel Boring Machine Separation plants)are the whole system of separating, cleaning & recycling of the mud using in tunnel boring work. 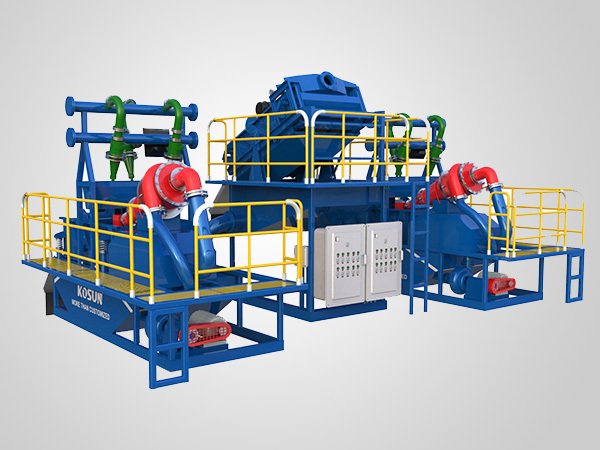 Kosun’s TBM separation units are consisting by: desanders, desilters, pumps, collecting box and shaker as the main components, and there are several different types of TBM mud separation system: KD100, KD250, KD425 and KD500, the serial numbers of the TBM separation system are dividing by smaller max capacity to larger running capacity, from 100m3/h to 500m3/h, so different application area can choose the corresponding system as their different needs. Also Kosun provide custom TBM separation units as the customer’s requirement, and specialists in Kosun can made the unique system just suit the needs in real cases, and which have helped many clients and made their work becoming smoother and more valuable. Separation plants is every bit as important as choosing the correct TBM for the project. the separation plant which using the geotechnical data should be designed to accommodate the majority of the material expected to be processed. In city tunnel, subway or cross water underground pipes, TBM separation units have been used widely as the helper to the tunnel boring machine. With the computer technology applied, the computer monitoring console in the system made the whole work clearly shown on the owner’s sight. Welcome anyone who interested with TBM separation units or plants to leave your messages here, and we’d like to reply you ASAP.